Away from the campus but want to access the Windows environment similar to our office desktop. Access legacy Windows environment to run certain systems/software packages which are not compatible with the current Windows desktop. With VDI services, only the screen on the virtual desktop is sent to the user’s local PC/notebook and no data will be stored on the local machine. 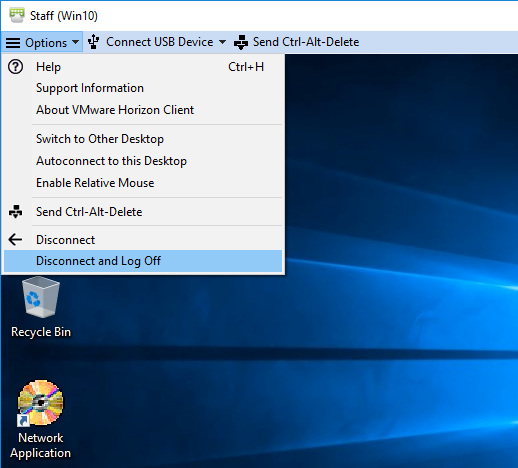 After you finish using the “virtual desktop”, you could simply log off the service. In a nutshell, your local machine becomes a dumb terminal and all the processing is run on the virtual machines in our servers within the campus. If you are outside the campus, you need to setup VPN connection. 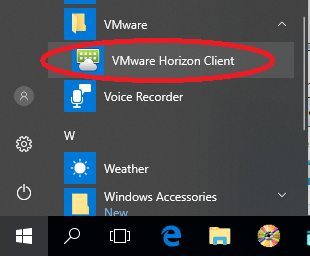 If your computer does not have "VMware Horizon Client" installed, please visit http://view.eduhk.hk and click "Install VMware Horizon Client" to download and install it. 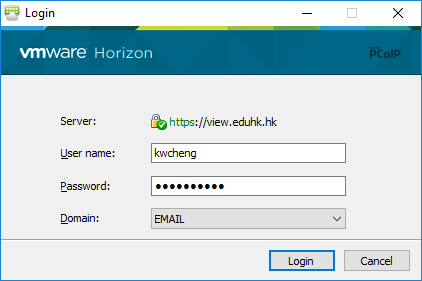 If this is the first time you launch the VMware Horizon client, click "+ New Server" and enter "view.eduhk.hk" as the server name and click "Connect". Otherwise, go to the next step. 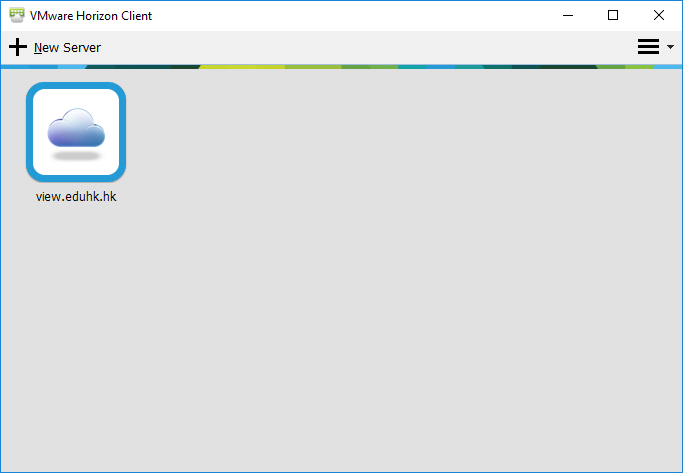 Double click the icon "view.eduhk.hk" to start the VDI service. When you see the following window, login with your EdUHK network username and password. After logging in successfully, you will see the available Virtual Desktops as below. 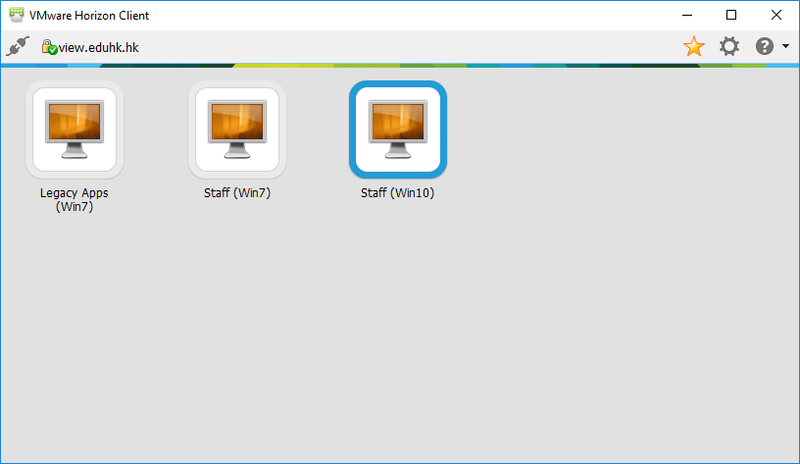 Double click the desired Virtual Desktop to start it. After use, click "Options and Disconnect and Log Off" from the top menu bar. Currently the following virtual desktops are available to colleagues. Please see details below. 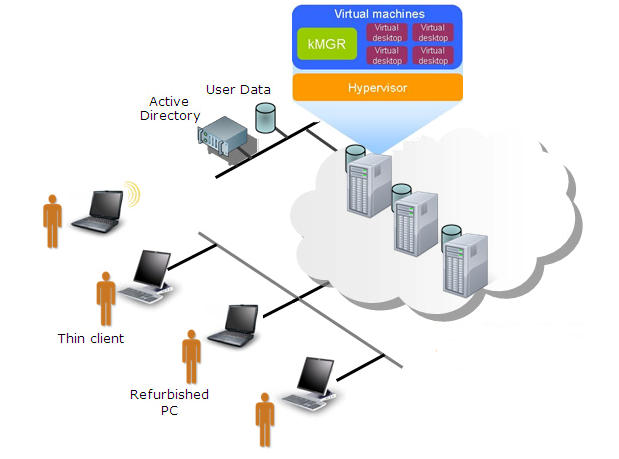 VDI sends the screen across the network from the VDI server to your local machine. It is important that you have at least 1Mbit/s throughput and the latency (or network delay) should not be over 200ms. If you are at a location with very slow network connection and the latency is very high, the experience using VDI will be adversely affected. The VDI service supports PCs/Mac/notebooks acquired by EdUHK and one staff owned PC/Mac/notebook at home. The current Microsoft site license does not cover the usage of VDI on iPhone, iPad and Android devices, etc. Thus, you MUST NOT access VDI via the VMware Horizon iOS or Android App. Please also see FAQ for related questions about VDI.